Our private vaccinations service offers quick and convenient access to the full range of vaccinations – whether for travel or otherwise – to adults and children alike. Accessible and delivered with the same attention to great communication in appointments which last a minimum of thirty minutes, our vaccinations service priorities ease of access and the highest quality care. Both general and non-NHS vaccinations are available through our surgery, providing an option for patients who would rather not wait or are not eligible for NHS care. Likewise, if the vaccination you need is not available via your NHS GP we can help – with virtually no waiting times and all delivered in the excellent clinical environment of Nuffield Warwickshire Hospital. Many travel jabs need to be given well in advance, so we always recommend planning your trip thoroughly – and getting your vaccinations in time. Our travel vaccinations service enables you, however, to access travel jabs quickly and conveniently – including vaccinations not on offer through the NHS. Even vaccinations recommended for travel to given areas can sometimes not be free on the NHS, so our accessible and convenient service is a great option for patients in this situation, as well as international patients unable to access NHS services more generally. The only exception to this rule is the Yellow Fever vaccination, which requires a separate registration. The Meningitis B vaccine is available on the NHS to babies born on or after July 1st, 2015 – or for individuals with specific medical conditions. For other patients, however, private vaccination remains the only option. The demand for this vaccine has been very high in recent months, but we are happy to report we can offer the vaccination on the same easy, convenient and accessible basis as all our other services. Most importantly, however, we give the vaccination in a hospital setting, where trained doctors and nurses are on hand to look after any reactions or complications that might occur as a result of a vaccination. We also provide follow-up care with a doctor if there are any concerns after the vaccine has been given. Overall, we believe that your child’s safety and wellbeing is the most important thing. We look to offer a complete package of care; we do not just give the vaccine, but we make sure you are happy with the service, and your child is safe. Shingles can be an extremely serious condition. It is a reactivation of the chicken pox virus: one in four of those who had chicken pox as a child will develop shingles in later life, often once they reach fifty years-old or more. It can cause very severe pain. The shingles vaccination is available to all 70-year-olds through the NHS, and to people of other ages based on quite a complex calculation related to various cut-off dates; we are happy to provide the vaccination to anyone who may safely receive it. Our convenient appointments schedule will also lead to virtually no wait. The chickenpox vaccine is not generally available on the NHS. 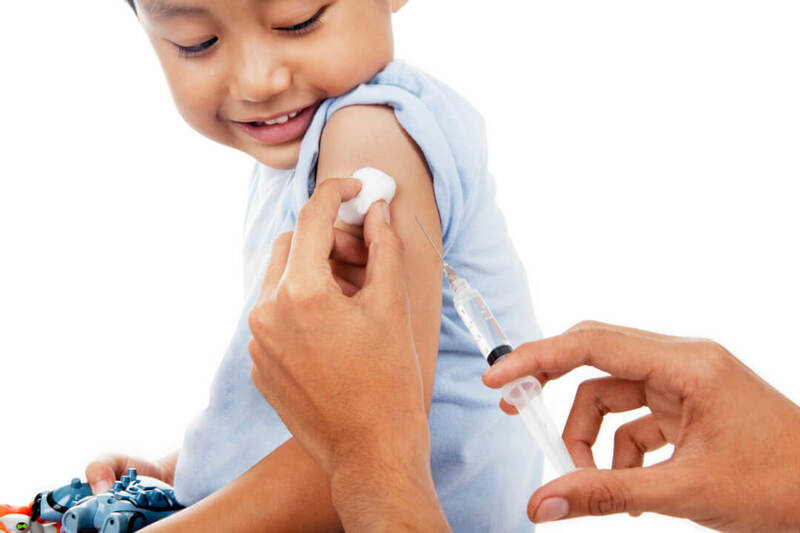 At our own vaccination clinic, we place no restrictions on who may have the vaccine: from adults to children, we will assess each individual and, if as in most cases it is safe to do so, we will provide the vaccine. Our appointments are a minimum of thirty minutes long, meaning you will have all the time you need to discuss your concerns with a doctor; and we provide ease of access, too. If you would like to vaccinate your child against chickenpox, why not contact us today.